The Pro Bowl has made its way from Los Angeles, to Hawaii and a couple of cities in-between, and is happily making a return to Orlando, Florida for the third consecutive year. Although there are plenty of exciting things to do in Orlando, this January a star-studded matchup is coming back to town. The Pro Bowl is the one place where you are able to feel the energy of the most talented and talked about NFL players. There is always a debate of who is best. The NFC or AFC? Last year’s game was one for the books as the AFC had one of the most exciting comeback wins in Pro Bowl history. The AFC took the lead with just 1:31 left in the game, when Derek Carr hit Delanie Walker with the game winning touchdown pass. The crowd was absolutely electric as the clock winded down. The thrill carried from the field to the thousands of fans in the stands. This game brought so many people together, all for the love of football. The outcome of this year’s game may be unknown, but one thing that is for sure is there is will be no shortage of quality entertainment and fan friendly fun. With NFL On Location, the 2019 Pro Bowl will be more than just a game, it will be a once-in-a-lifetime experience. In addition to the game, you will have access to Official NFL tailgate party which includes food and beverage, music and appearances from NFL Legends. Our guests exclusively receive access to a private viewing area on the red carpet as the players enter. This gives you the opportunity to take pictures, selfies, get autographs and even talk to some of your football heroes. 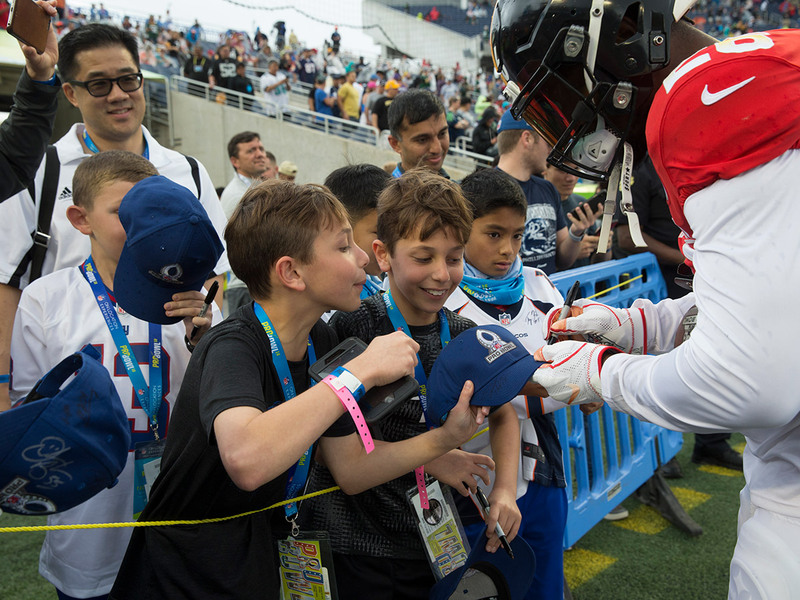 Learn more about our 2019 Pro Bowl Ticket Packages and reserve your trip today.